www.uncletehpeng.com : Let's Play Wongamania! The Economy and Investment Game! Let's Play Wongamania! The Economy and Investment Game! Have you heard of Wongamania? Before I begin, if you are a business student (like me!!) you will definitely fall in love with this game. 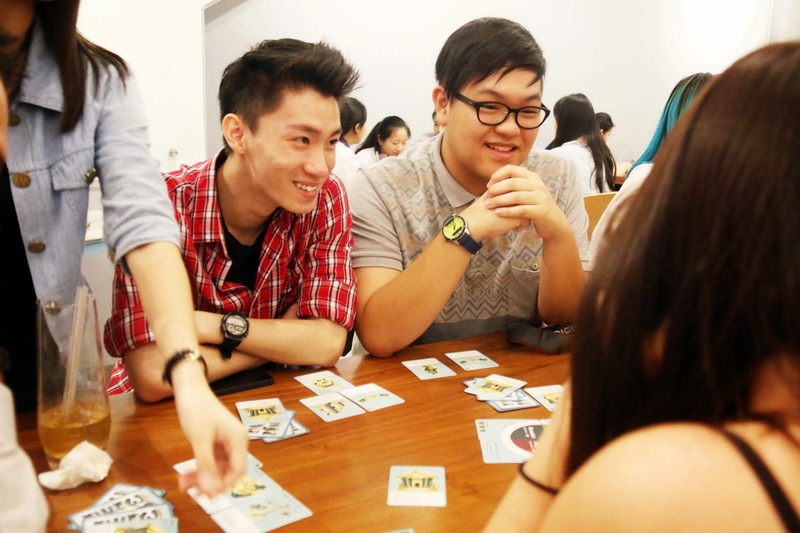 A few weeks back, I was invited to play this game with a few other bloggers at a cafe located at Bugis. The game was so addictive we went on playing for like 2 hours plus! At first I was rather confused with the game but after awhile you will get the hang it. Just that you need to know the basics right! It's something like monopoly, but a more enhanced and comprehensive version relating to the economic cycle. 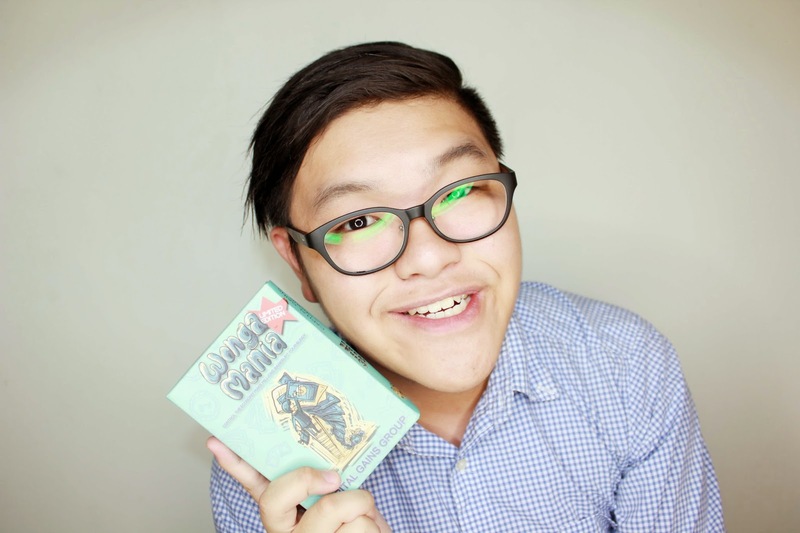 I was very happy because I was given a set of this card game so I could bring it to school! 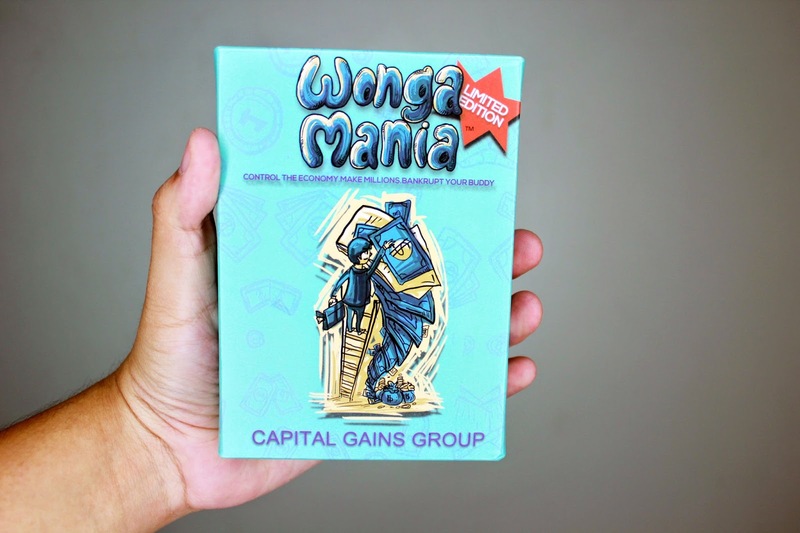 Felt so lucky that I was one of the lucky 300 people that is able to receive this set of limited edition Wongamania cards! Q: What is this game all about? You may wish to play the video attached below to find out more details about this game! Did you know that "WONGA" is actually a British slang for money and "MANIA" stands for elevated arousal energy level. So if you combine them together.. it is called "WONGAMANIA". Wonga is used to substitute "MONEY" thus it sounds more attractive! Clinton and I seems to be very engrossed with this game! At the moment you are currently looking at a confused sight of me! 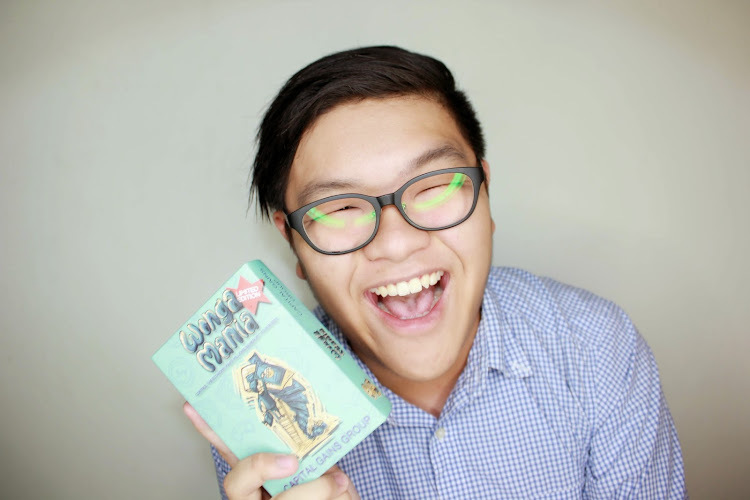 It was really very fun and entertaining because you need to be very smart in order to win this game! It definitely requires you to strategize how are you going to plan your next move! Thankfully I was somehow able to win the first-round but the rest of my friends managed to catch up with me! I studied little bit about economics during my year 1 days hence I had a slight knowledge about about what is recession, growth, stagnant and recovery stage. And also another fact you may wish to know, Wongamania is designed by an independent studio called Capital Gains LLP hence it is the first financial edu-tainment card game in the world that is modelled after modern economics. The entire box comes with 13 Professional Cards, 27 Incident Cards, 26 Global Cards, 54 Asset Cards, 13 Trust Fund, 4 Market Cycle, 6 Bank Instructions and 1 Economy Token! Tip: Do remember to read the instructions clearly before you play the game! And it's okay to be confused if you are playing this for the first time! Q: How to play this game? This game can be played among 2 to 6 people (the more will be merrier) it will heighten the atmosphere of the game! The average game-play duration would be estimated around 20 - 30 minutes depending on how fast are you able to absorb this game! Of course with maximum concentration in order to be the winner. Like what I mentioned previously, you need to read the instructions card in order to know what are the cards are used for. 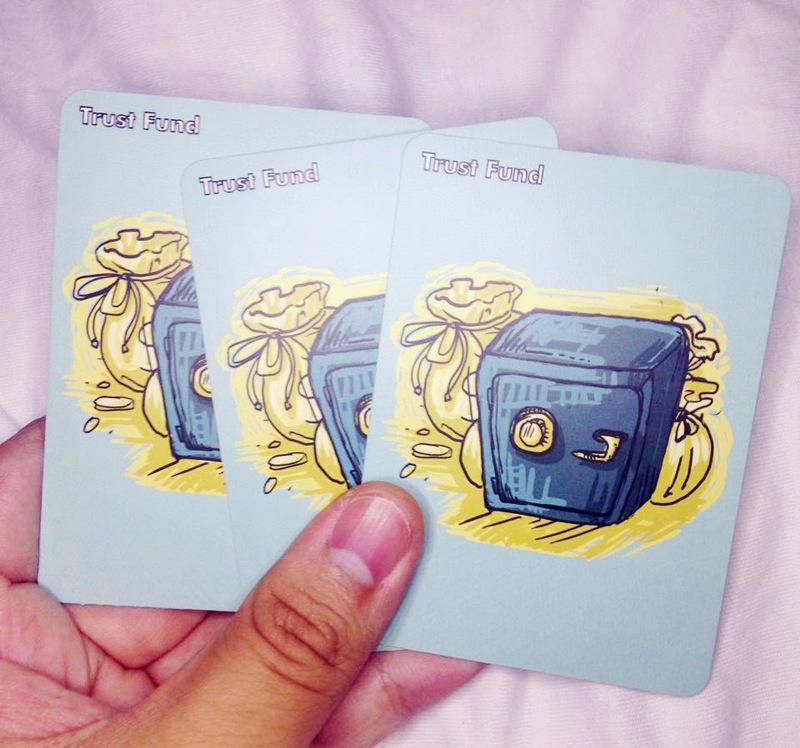 In order to win this game, you need to obtain 3 Trust Funds! 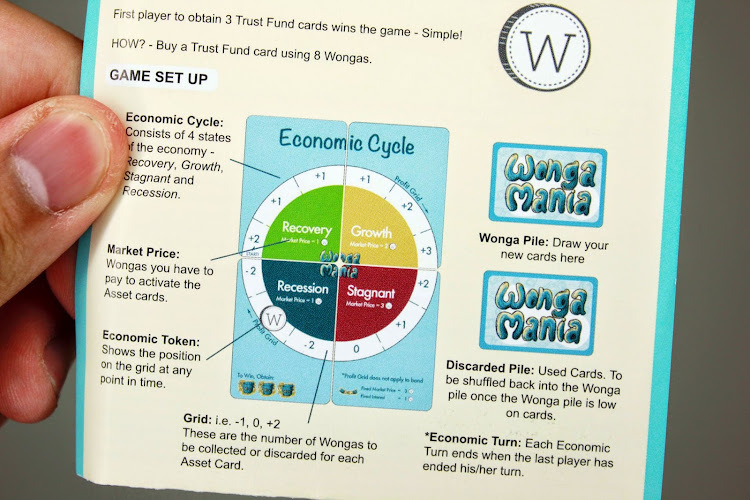 To obtain 1 Trust Fund, you need to exchange it with 8 Wonga cards! Wonga cards are somehow like the money in your bank. To accumulate more Wonga cards you need to play along the economic cycle by either purchasing a property to earn money or you also can invest in stocks! 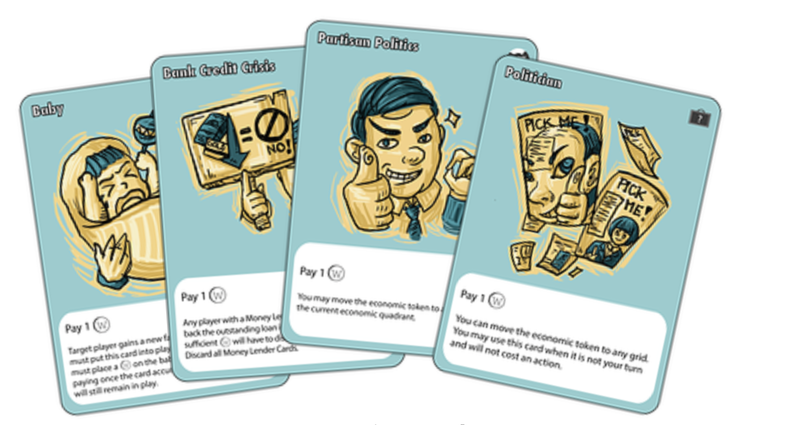 There are also opportunity cards that can be used to "sabo" your opponents like you can suddenly change the economic cycle to a recession state thus you will end up losing money (wonga cards). Another method to win is to be smart enough to sell off your assets (assets are items they you OWN and can sell for $$ like your investments and property.) Hence, you need to be smart by selling off your assets before you hit recession stage. The game is so detailed that they have a "baby" card. It is actually the killer one, because you gained an additional family member. You need contribute 1 Wonga card to the baby every round after everyone has finished their turn. After accumulating 6 Wonga cards for the Baby, you can stop contributing any more Wonga cards. However, it isn't as bad because you can turn back with the Fillial Piety card owning everyone else! Having a kid is not that bad too. So if you can actually relate this to real life when your kids grow up they will take care of you because you looked after them. 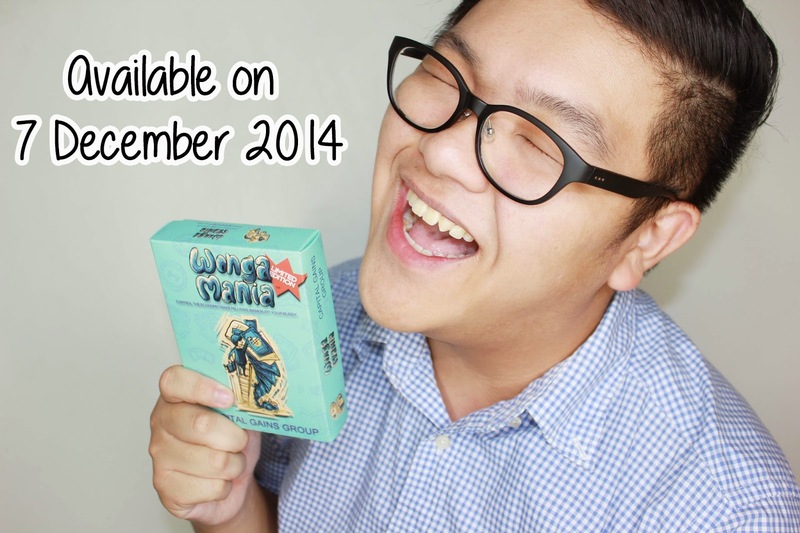 You can now pre-order Wongamania at their online store because they will be available on sale from 7 December 2014 onwards. For non-business students you can also join in and play because you will learn about what is investment and making a loss is all about. Hence, it is an educational game as you learn while you are playing. I will definitely recommend this to all my classmates in my course and my juniors because it can be a form of interacting session with your friends and lecturers. One set is currently selling at $38/per box. Thus, it is value for money because you can play this for a life-time!